Dr. Rabinovich manages a wide variety of oral pathology associated with the mouth. Educated in both medicine (MD, SUNY Downstate College of Medicine) and dentistry (DDS, Columbia University) he is uniquely qualified to treat patients with oral pathology conditions. Patients are often referred by their physician for the management of soft or hard tissue abnormalities. Patients can also rest assured that they will have the best imaging available for pathology via the state-of-the-art iCat 3-D cone beam CT scanner. Dr. Rabinovich is one of the few San Francisco oral surgery centers to have this latest imaging technology on-site. Teeth or bone lesions (hard tissue lesions) are often unrecognized by patients until a radiographic image sheds light on their existence. At the Oral Surgery San Francisco patients can rest assured that they will have the best imaging available for pathology via the iCat 3-D cone beam CT scanner. 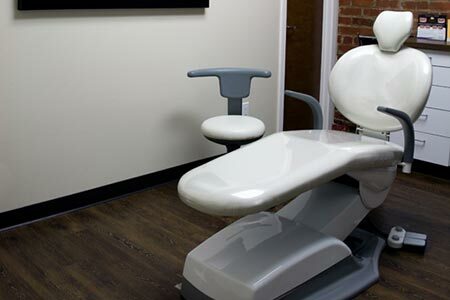 Most of our oral surgery procedures are performed in our state-of-the-art outpatient surgical facility under local anesthesia or light sedation. However, full general anesthesia is also available when necessary. Our patients’ safety, comfort, and privacy are our primary concern. If you have any questions, concerns, or would like to schedule an appointment at our Oral Surgery San Francisco, please contact us today. We look forward to providing you with the personal care you deserve. Our office staff is friendly, knowledgeable, and here to help you with a smile.